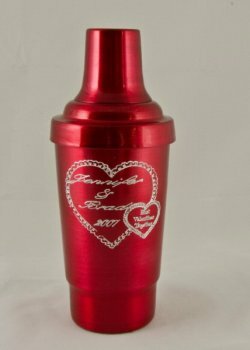 Cocktail Shaker, Red.16oz.With top, strainer, and cap. Complete with a strainer and a cap that doubles as a shot glass. 16oz. and 1 1/2 oz. Shot glass.